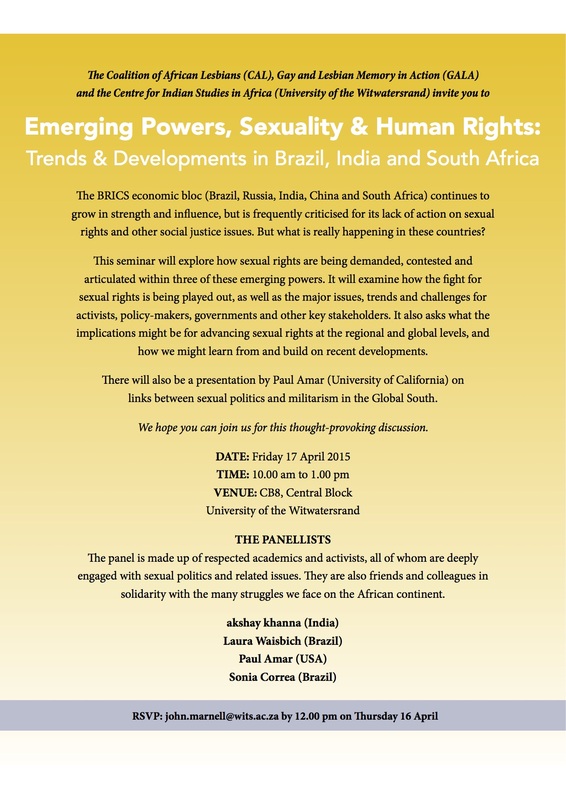 The emerging powers Brazil, Russia, India, China and South Africa [BRICS] will be the basis of this conversation that examines the realities in some of the BRICS countries in relation to sexual rights. This economic bloc is positioned to grow in strength and influence regionally and globally on the economic and political front. This Seminar asks what has been unfolding in these countries in relation to sexual rights, what the trends across countries may be in this regard and what the implications are for the advancement of sexual rights at the global, regional and national levels.